Houston, TX plastic surgeon Dr. Edward Lee utilizes an exceptional technique that produces excellent outcomes for our patients' skin using a treatment called radiofrequency (RF) microneedling with Profound RF technology. RF remedies have existed for a number of years and are popular in the aesthetics industry for their skin tightening effects. This specific type of therapy utilizes heat to stimulate the creation of collagen, elastin, and hyaluronic acid deep within the skin to maximize outcomes. With a clinically proven 100% response rate, we frequently incorporate this innovative process at Nuveau Plastic Surgery into our Houston, TX patients' skin care treatments to create healthier, smoother, and more luminous complexions. As a minimally invasive treatment option, Profound utilizes microneedling and radiofrequency technology to increase skin elasticity for a younger-looking appearance. 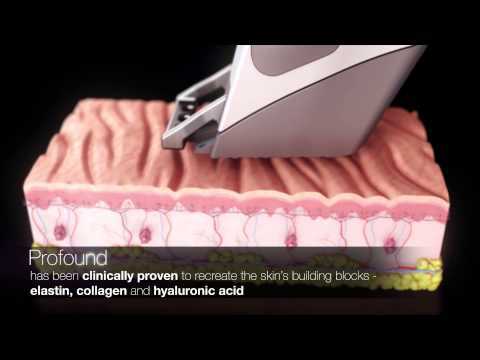 By helping to stimulate the production of collagen, elastin, and hyaluronic acid, Profound is ideal for diminishing the look of sagging jowls, loose skin on the neck and/or body, a double chin, cellulite, etc. With no need for surgery, injectables, or significant downtime, RF microneedling with Profound heats the skin to a controlled temperature and emits energy to permeate deep into the skin, promoting the rebuilding of elastin and collagen. 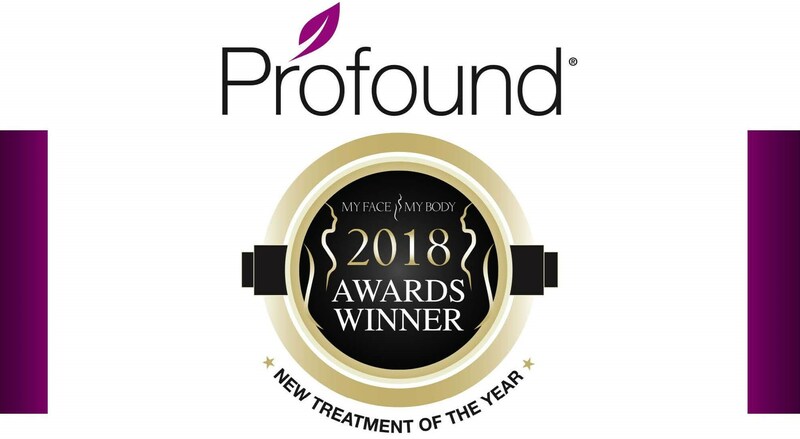 The Profound ® treatment won the prestigious MyFaceMyBody 2018 New Treatment of the Year Award. Microneedling utilizes an instrument (with small needles at the end) that's rolled carefully around the skin to puncture and make micro-injuries that "interrupt" the tissues and stimulate the production of collagen. Some even refer to this technique as collagen induction treatment. New skin grows as the skin begins to heal, leaving the surface looking and feeling brighter, smoother, and more refreshed. Although this process is usually done on its own, combining this innovative method with Profound radiofrequency technology has enabled us to maximize the outcomes for our Houston, TX patients. This method is quite straightforward. The Profound applicator works by providing brief bursts of RF energy via a collection of 25 sterile, golden micro-needles. The power is delivered via the needles, which concurrently punctures your skin and returns the electrodes on the surface of the skin. The RF energy warms at levels which offer cumulative and continuing results. Your Profound RF treatment will be performed in the Nuveau Plastic Surgery facility with the use of a numbing solution to minimize any discomfort. 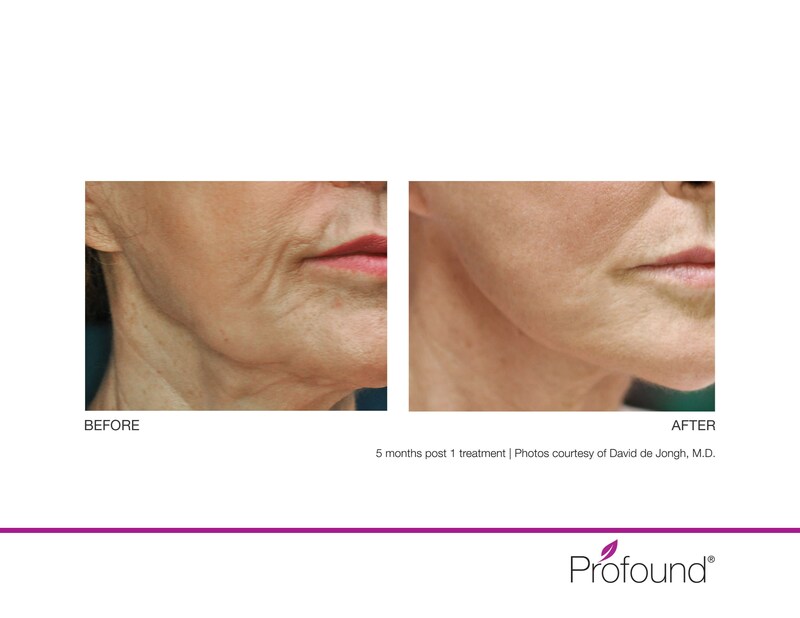 During your procedure, the Profound device will glide over the desired treatment areas, repeating the technique until the desired outcome has been reached. Patients should anticipate minute pinpoint scabs to become pronounced 24 – 72 hours after treatment, which will naturally disappear when the inherent skin has healed. Outcomes become noticeable as skin heals over a month after having a microneedling with RF procedure. Optimal results are often noticed after one procedure, and additional treatments are typically not needed. If you're wanting to minimize the look of sun-damaged or aging skin, and reduce laxity, acne scars, or wrinkles, RF microneedling with Profound is a wonderful remedy with proven outcomes. Mixing radiofrequency microneedling and skin tightening, this exceptional skin repair procedure has grown in popularity and is a highly sought after, minimally invasive therapy for our Houston, TX patients. We welcome you to contact Nuveau Plastic Surgery to find out more.